The General Data Protection Regulation becomes effective May 25, 2018. It's imperative that companies know what is necessary in assessing their compliance obligations with GDPR. Managing Partner Robert Scott will present "Scott & Scott, LLP to present "GDPR is Coming - Are You Ready? A Roadmap for Controllers" CLE* Webinar Wednesday May 23rd, 11:00 am - 12:00 pm CDT. The General Data Protection Regulation ("GDPR") is looming. For Companies, the risks of non-compliance can range from up to €20 million to 4% of annual revenues. The goal of this webinar series is to go beyond simply explaining the GDPR and its requirements. This webinar is constructed in a way to do a deeper dive on specific topics relating to GDPR to equip any company with advanced knowledge, use cases, and legal requirements to be compliant before the May 25, 2018 deadline. What it means to be a "controller" or a "processer" under GDPR. 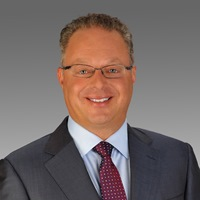 Managing Partner Robert J. Scott, Scott & Scott, LLP, represents mid-market and large enterprise companies in software license transactions and disputes with major software publishers such as Adobe, IBM, Microsoft, Oracle and SAP. He has defended over 275 software audit matters initiated by software piracy trade groups such as the BSA and SIIA. He is counsel to some of the world's largest corporations on information technology matters including intellectual property licensing, risk management, data privacy,and outsourcing. He is a board member of the MSPAlliance.